Sometimes you just have to eat shredded wheat. 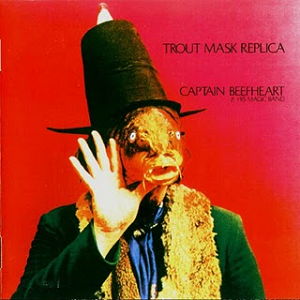 The 1969 double LP,”Trout Mask Replica” is music’s answer to shredded wheat. It goes down hard and scratches your throat. But ultimately, it’s good for you. The rhythms are fitful. The guitars are dissonant and clangy. And smeared over all this heap of brambles is the banshee wail of leader Captain Beefheart (aka Don Van Vliet). Captain Beefheart started out his musical life as a Howlin’ Wolf devotee and also absorbed the dissonant improvisations of Thelonius Monk, Ornette Coleman and Cecil Taylor. His first recordings in the mid-sixties brought the world a unique slant on the traditional delta blues he worshipped in his youth. He introduced the world to a young Ry Cooder and planted his flag on the outer frontier of pop radio with the regional hit “Diddy Wah Diddy” on Buddah Records. Beefheart and his Magic Band were picked up and dropped by a couple of different labels before Frank Zappa scooped up the group and signed them to his Straight Label with the proviso that Beefheart make whatever record he saw fit. “Trout Mask Replica” was the result of this artistic carte blanch and was almost immediately hailed by the rock intelligentsia as an unqualified masterpiece. The tracks are funny and frightening. “Ella Gura” is pop craft burnt beyond recognition. “China Pig” is a Neanderthal blues stomp snorted into a very cheap cassette player. “Dachau Blues” is a gurgling, steaming, fire drill of a song that laments the atrocities of Nazi Germany. Beefheart leads the charge with his signature poisoned seal vocals and flagellant saxophone. Spoken word interludes are sprinkled throughout this double LP and are evocative and earthy. Incredibly, the majority of the songs are not chaotic art jams but meticulously written and arranged set pieces. Released in 1969. Rock Music has never fully recovered from the shock. History has yet to decide on the mental health of Don Van Vliet (aka Captain Beefheart). Eye witness accounts tell of Beefheart physically bullying other band members, There was food deprivation and relentless psychological abuse. Long suffering guitarist Bill Harkleroad (Zoot Horn Rollo) states with certitude that Beefheart logged many hours in the public library researching literature on mind control. 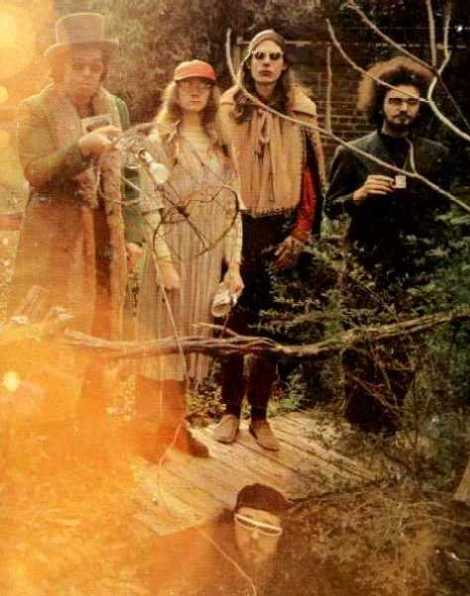 In preparing the music that would become “Trout…..” Beefheart trail bossed the band into soul-destroying 14 hour rehearsals at their communal Woodland Hills compound. If Beefheart wasn’t a nutter, then he had that peculiar brand of megalomaniacal sanity that is the domain of third-world dictators and Kool-Aid swilling cult leaders. Moreover, he repeatedly told bald face lies to music journalists in order to burnish his mythology. In the eighties, Beefheart closed out his music career after a run of several fine albums. He moved to the Mojave desert with his wife and turned his back on the music business for a successful career as a painter. His work was exhibited all over the world and routinely sold in five figures. There he remained until his death from multiple sclerosis in 2010.